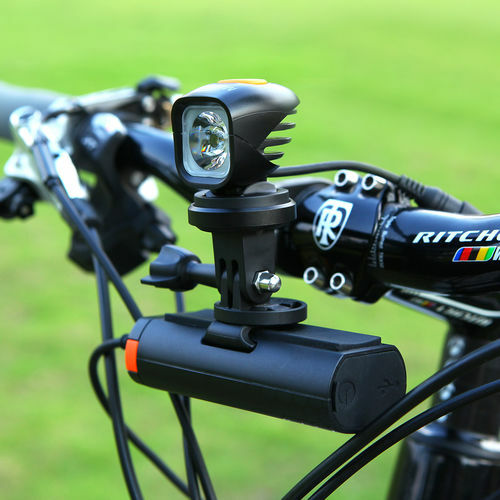 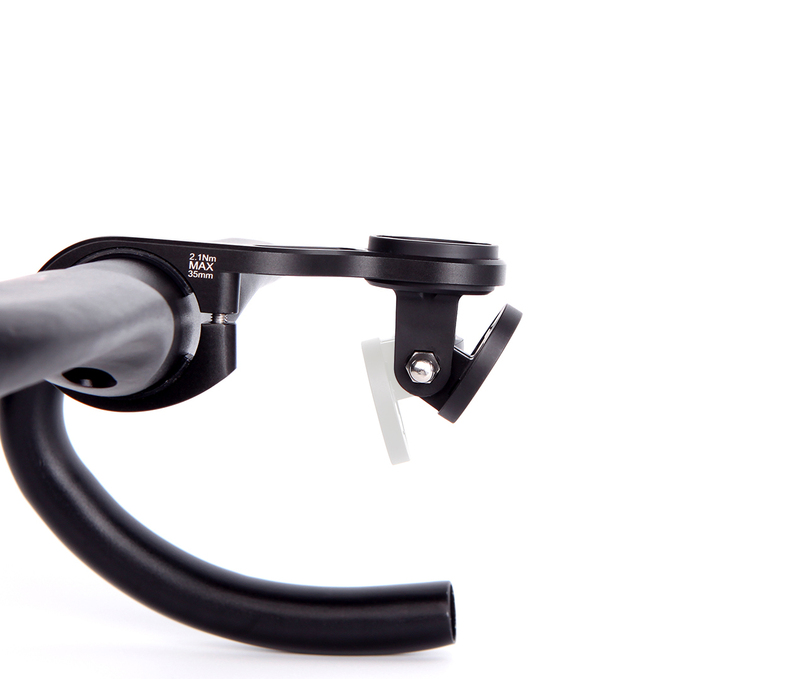 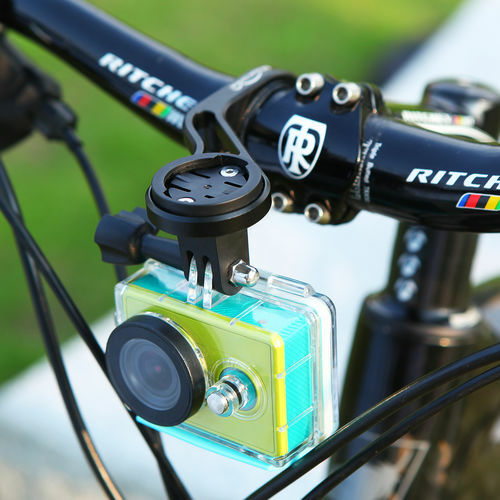 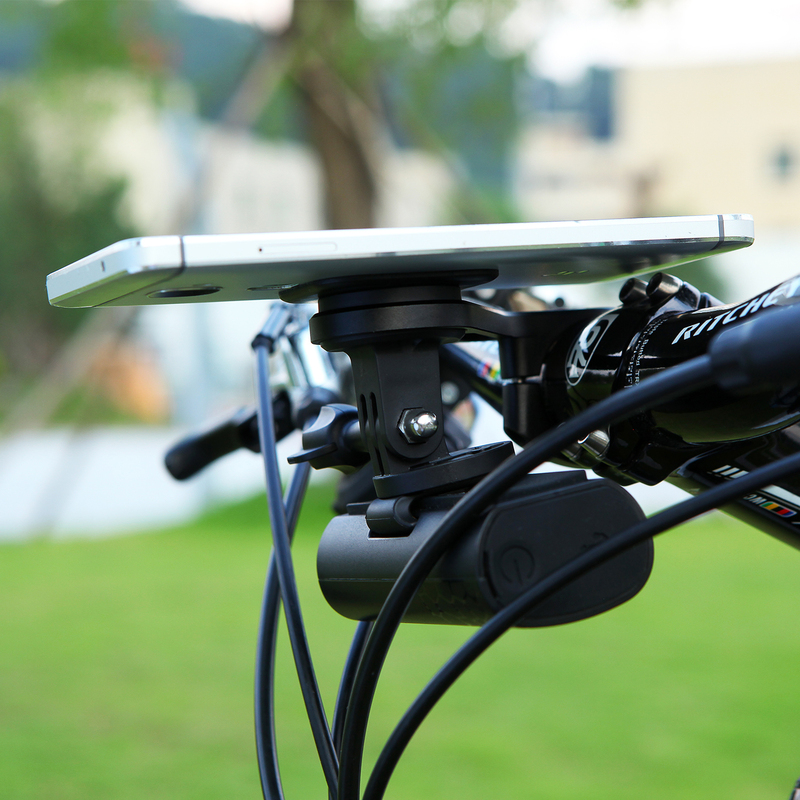 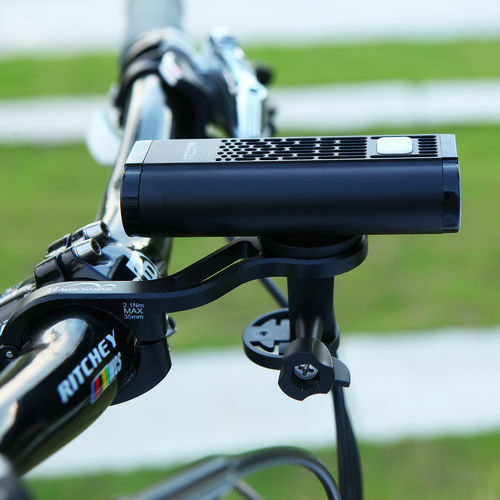 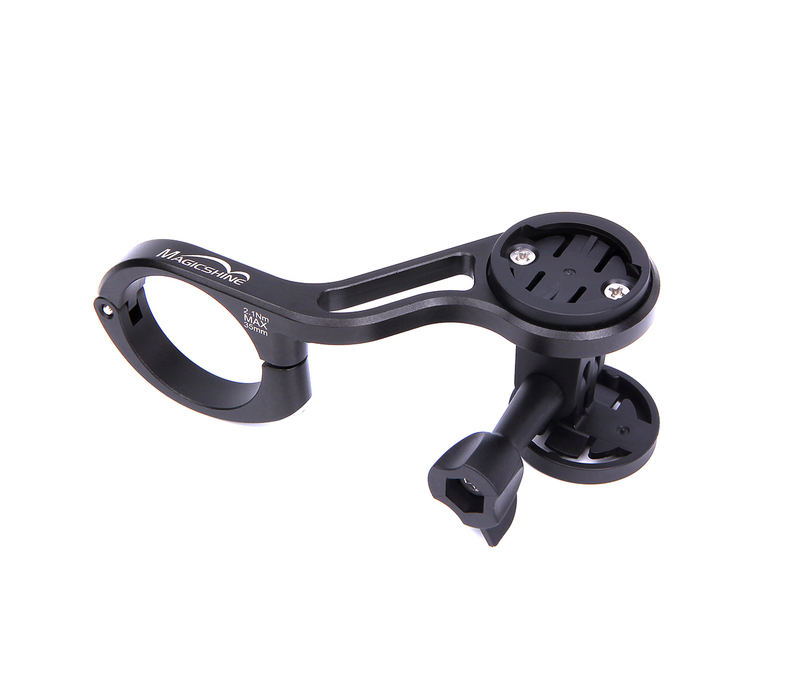 Multi-purpose bike mount from Magicshine, this TTA out front mount with extended arm allows you to easily monitor your bike computer in a safer and more comfortable position, built with reinforced aviation grade aluminum, CNC hollowed out and hardening oxidation processed. It's very light weight but robustly solid and rigid. 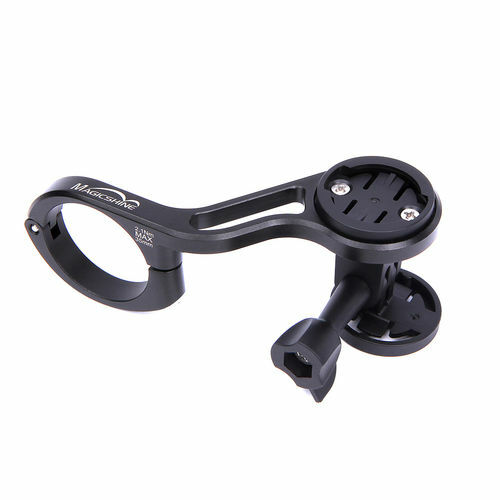 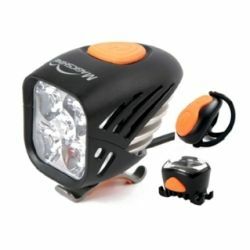 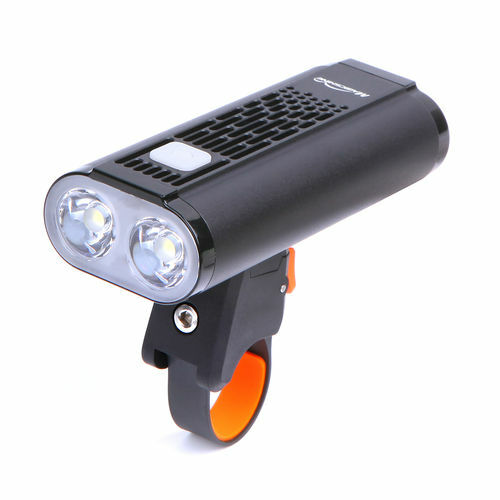 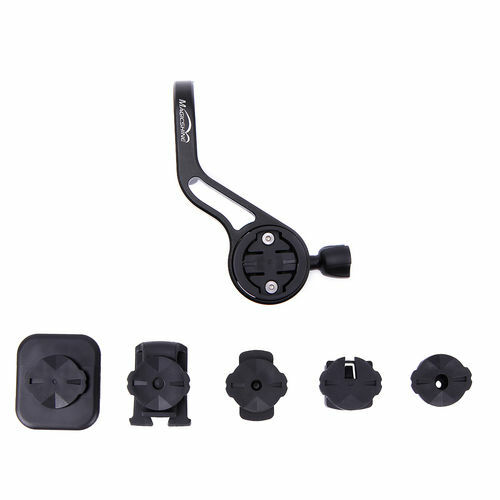 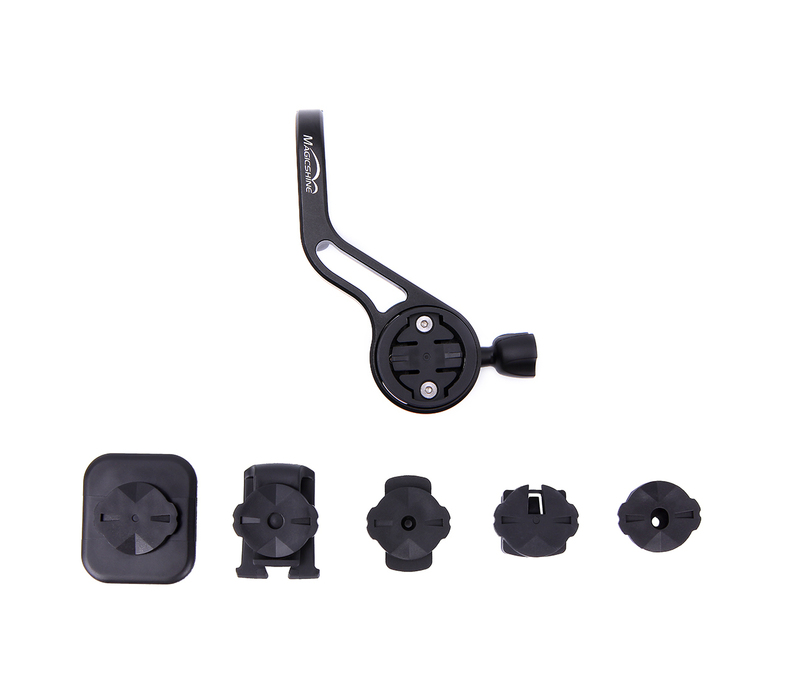 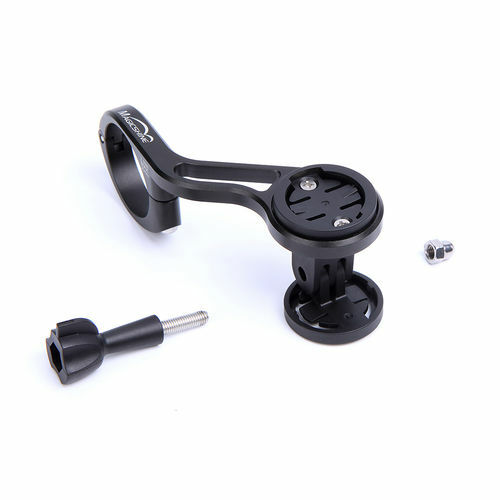 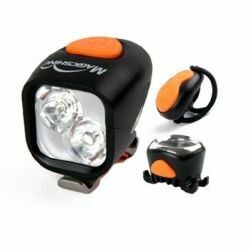 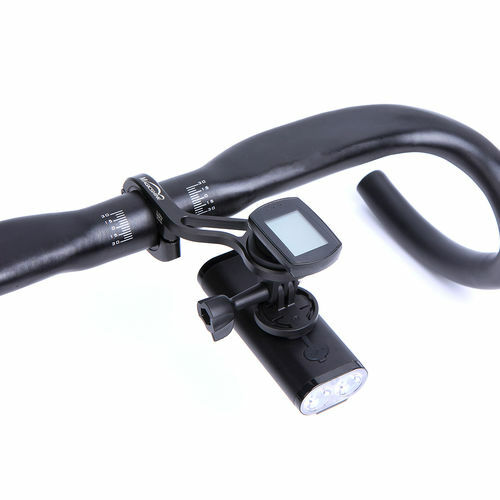 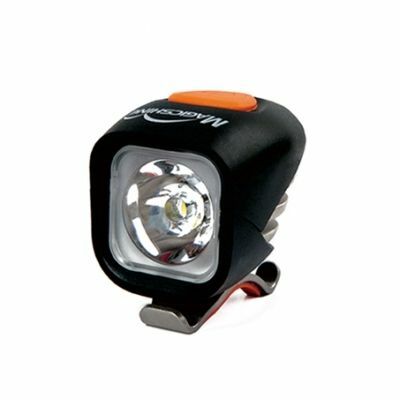 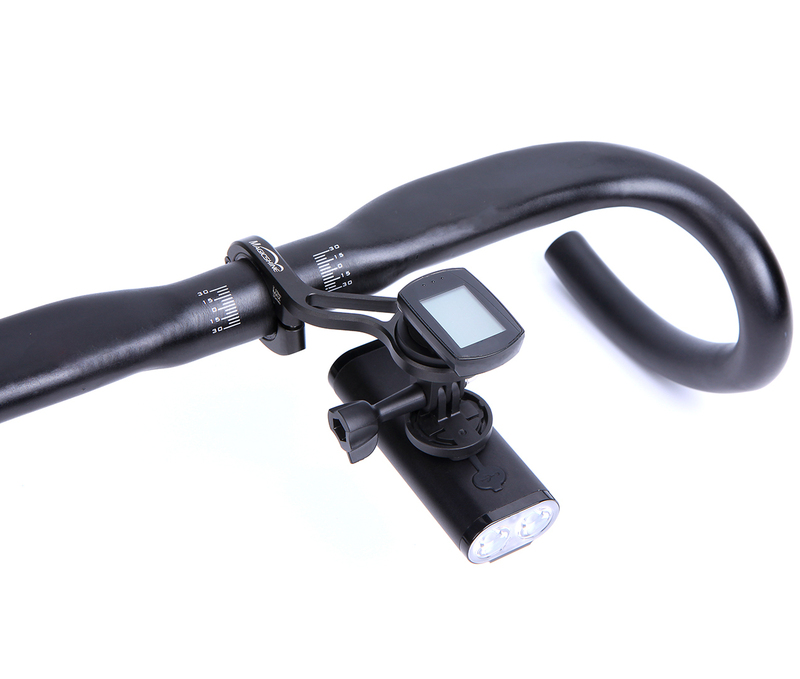 Included with this out front mount is a variety of mounting bases and base conversion pieces for Garmin devices, certain models of Magicshine lights, speedometers, battery clips and cellphones etc. 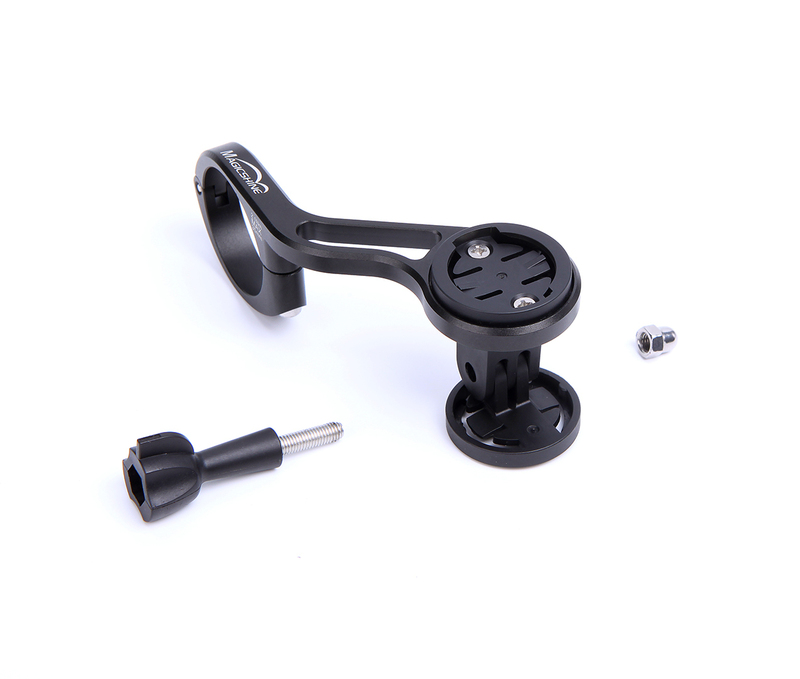 Designed with an additional, detachable mounting base, the bottom piece is angle adjustable and easily removed if needed. Phone+battery, light+battery or maybe a battery and GoPro camera combo to record your journey. 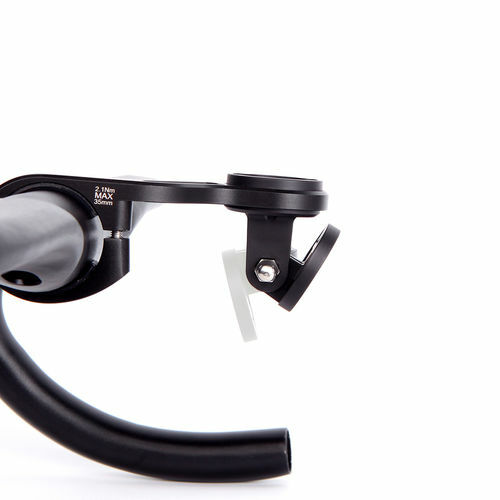 Freedom is there, choice is yours.